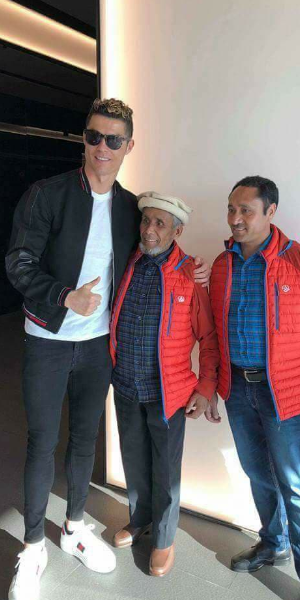 'Little' Karim is a well-known porter in the mountaineering world. He has been visiting Spain and will shortly be returning to Baltistan. "It's time to return home to the Hushe Valley. First I, want to give thanks to all people who have received me in this country with a lot of affection and for the protocol. I do not know how I have to thank all of you for supporting me on this wonderful journey. I also thank all of you for opening your homes and your hearts. Your affection and love for me will never be forgetten. Thank you very much, Brother Sebastian Alvaro, who has given me the opportunity for us to get to know each other, to change cultures, to get to know the world and to help me to fulfill my dreams. My dream is to improve the lives of the people of the Karakorum mountain range of Pakistan. My dream is to give education to the children of the people who live in the villages, to improve their way of life and to heal the women who suffer from health problems. 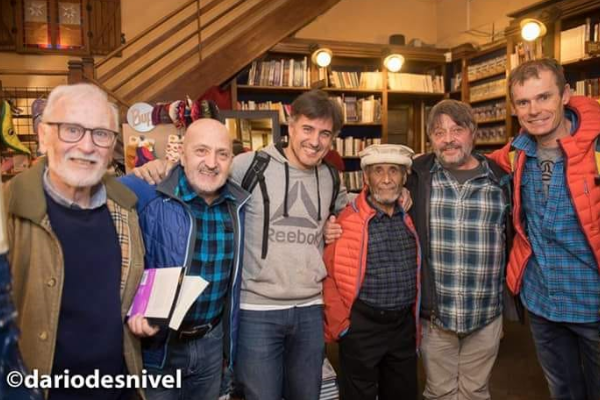 For this purpose, thank you to the Sarabastal Foundation and the Baltistan Foundazioa Friends, who have been working in the high valleys of Karakorum for years. In my view of Spain, a great project that we are going to work on in the future gives equal rights to the women who live in these villages. Thanks to Muhammad Hanif for being with me all the time. I can not say thank you one by one, but more than a thousand times thanks to all of you for your support, your help, your affection."